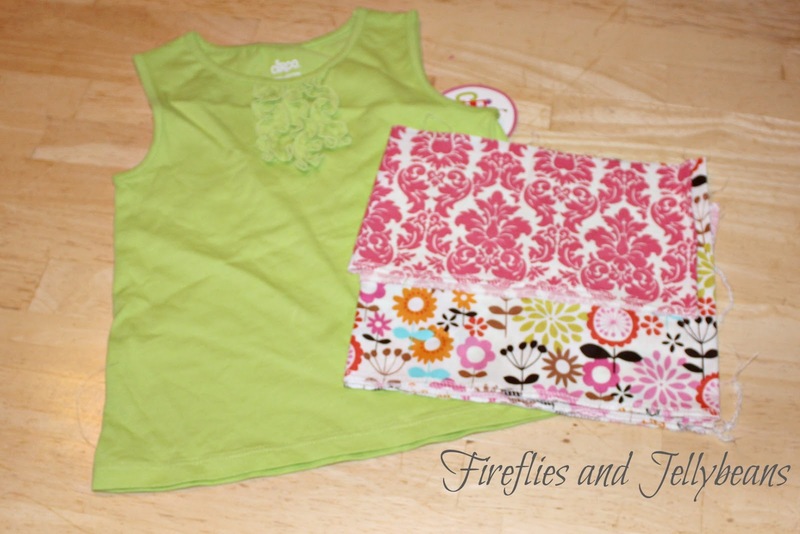 To say that I love Joann's Fabric and Craft Stores is an understatement! Love love love love love Joann's... I am at that store at least once a week and my kids have been trained how to shop there! So, when I was asked to be part of the Summer of Joann's challenge - I was quick to accept! I got to look through this catalogue and pick out a project that I want to make (and put my own spin on). 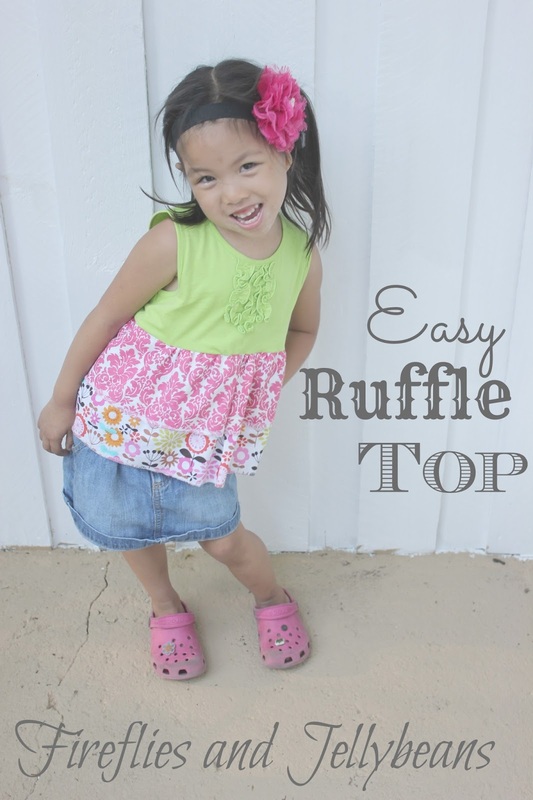 I choose this great ruffle top! 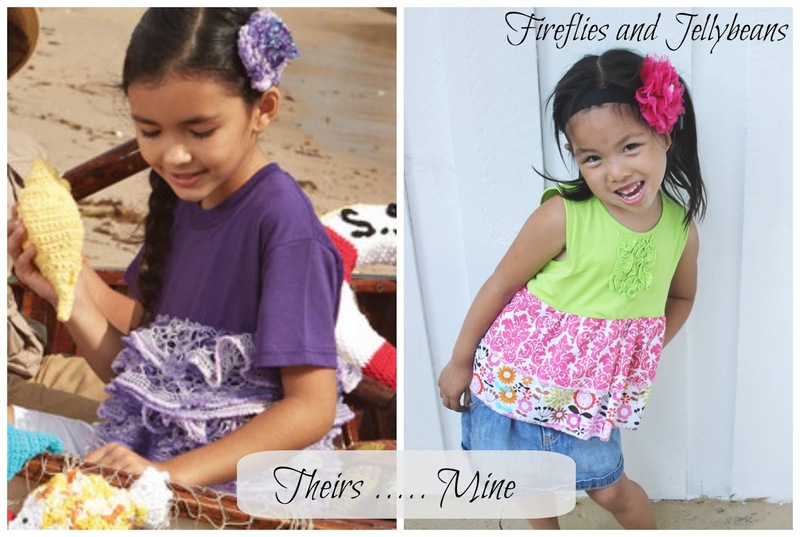 Theirs is crocheted... I don't have the time (Although I think it looks AMAZING!) so I put my own spin on it to make it super easy and cute! Find the full directions HERE to make Joann's version. 1. 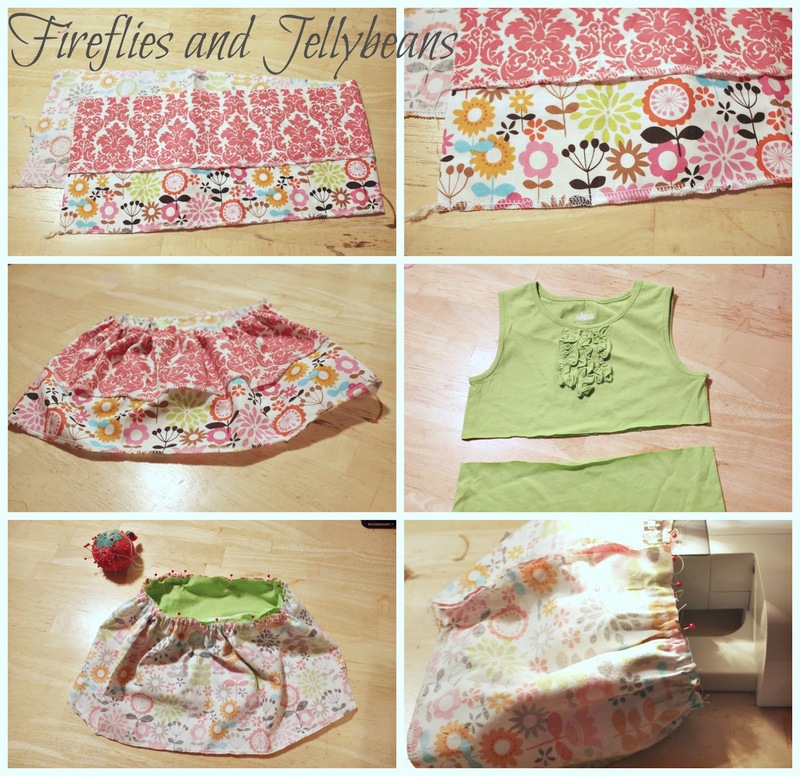 Cut your fabric pieces. 2. 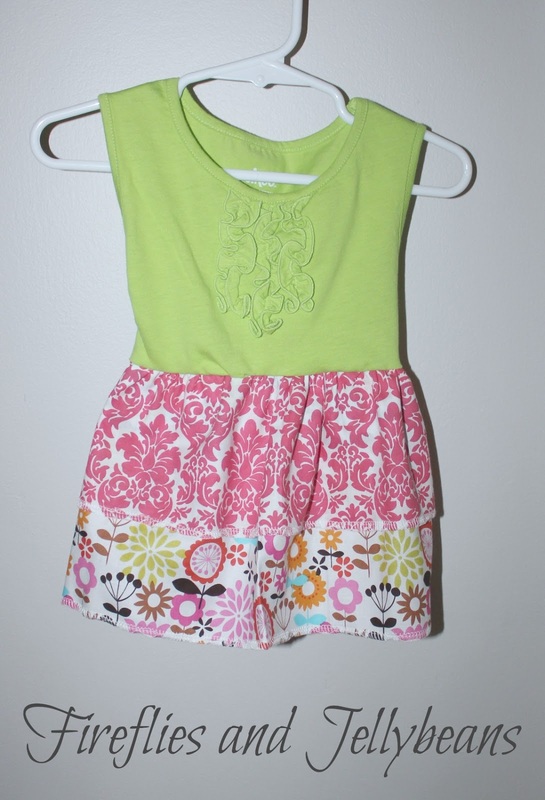 Finish off the bottom edges - I surged mine, but you could also hem them. 3. Gather your strips (I do mine at the same time) I use Dana's cheater method to make the ruffles. 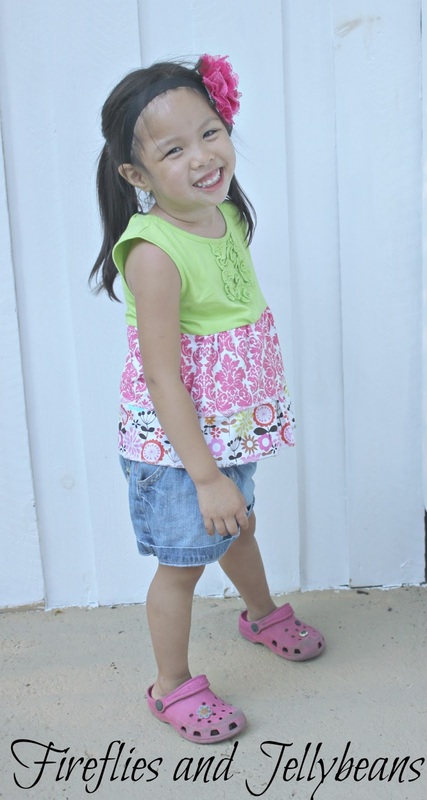 Sew the ends together to make a tub. 4. Cut off the bottom of the shirt just a couple of inches under the armpit. 5. Pin the ruffles to bottom of the shirt with right sides together. 6. 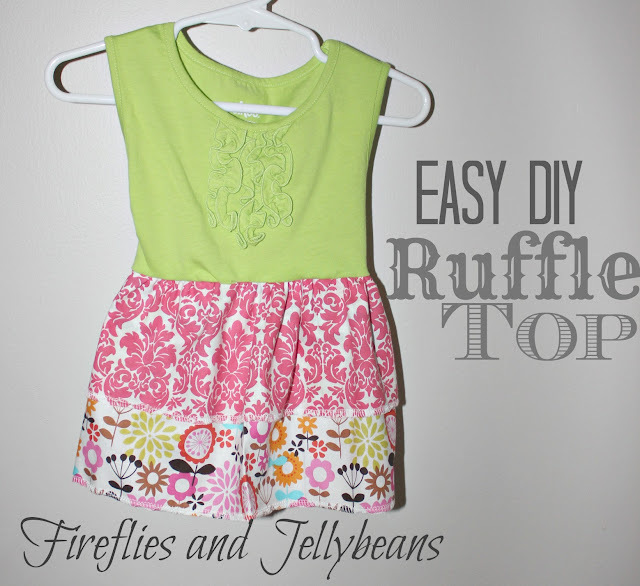 Sew the ruffles to the shirt. Done! Totally cute and easy! Disclaimer: I was provided with a gift card to Joann's to buy the supplies for this project. All options and projects are mine!